It’s time to get out and explore! The 2014 Bioblitz is this Friday, March 28 and Saturday, March 29 in several national parks, including Muir Woods National Monument, Fort Point National Historic Site, and locations in Golden Gate National Recreation Area including the Giacomini wetlands, Muir Beach, the Marin Headlands, Crissy Field, the Presidio, Mori Point, and Rancho Corral de Tierra. 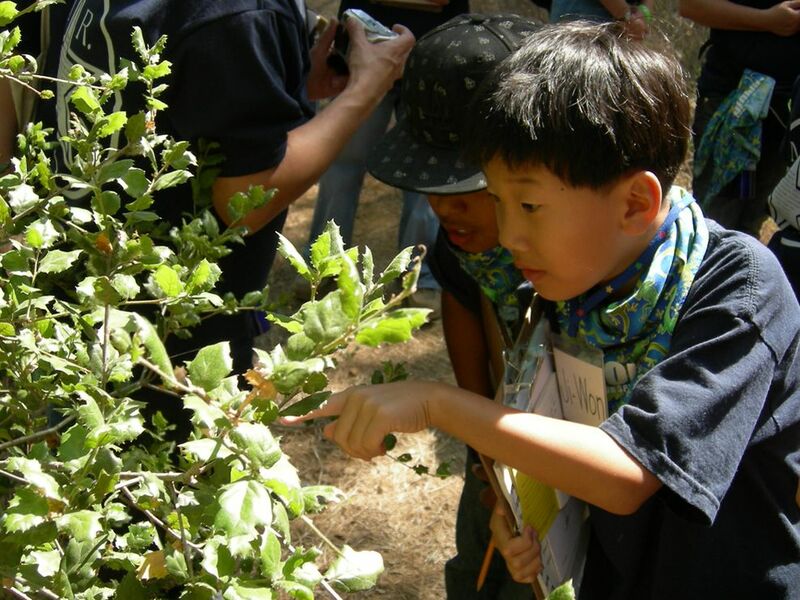 A BioBlitz is a 24-hour event in which teams of volunteer scientists, families, students, teachers, and other community members work together to find and identify as many species of plants, animals, microbes, fungi, and other organisms as possible. National Geographic is helping conduct a BioBlitz in a different national park each year during the decade leading up to the U.S. National Park Service Centennial in 2016. 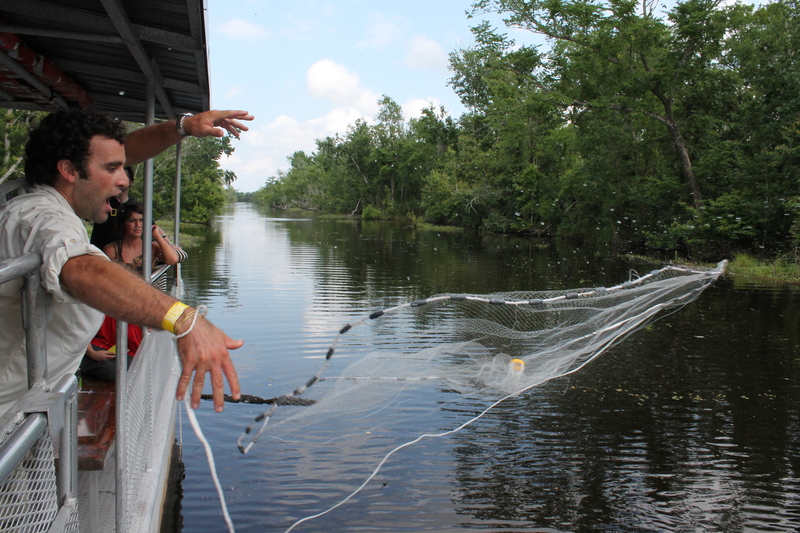 A scientist leads an inventory at last year’s BioBlitz in New Orleans, Louisiana. Photograph by Samantha Zuhlke, National Geographic Education. Highlighting the importance of protecting the biodiversity of these extraordinary places and beyond. If you won’t be in California this weekend, don’t despair. There are plenty of ways to participate virtually. Take a virtual biodiversity tour. Visit BioBlitz through the wonderful words of Caryl-Sue. Pining Away, The Wonderful Thing about Otters, These are a Few of My Favorite Birds, Lichen it Already, and Sluggish Verse have paid tribute to the vibrant plants, animals and fungi of the area. Be a citizen scientist. Download iNaturalist to document wildlife in your own community, or participate in the Great Nature Project. You’ll be contributing to a global citizen science effort! Host your own BioBlitz. Use our educational resources. Stay tuned for more tips and tricks, coming later this week. If you will be in California this weekend, lucky you! Here’s everything you need to get ready. See you there! Download the NPS Map of all inventory sites. Download iNaturalist to prepare for your time out in the field. Join the conversation using the hashtag #bioblitz2014. Prepare for parking and transprotation. Get excited for the FREE Biodiversity Festival at Crissy Field’s East Beach in the San Francisco Presidio from 9 a.m. to 5 p.m. on Friday, March 28, and 9 a.m. to 4 p.m. on Saturday, March 29. The festival will feature science demonstrations and exhibits, live animals, hands-on activities provided by prominent science and environmental organizations, National Geographic-led photography workshops, food, entertainment, and art. Be sure to stop by the National Geographic Kids Engineering Exploration Challenge construction zone in the Biodiversity Festival to say hello.